Parents whose young ones are at the age of joining kindergarten want detailed information about the school and its program. Kindergarten schools divulge necessary information to the parents through kindergarten brochures. 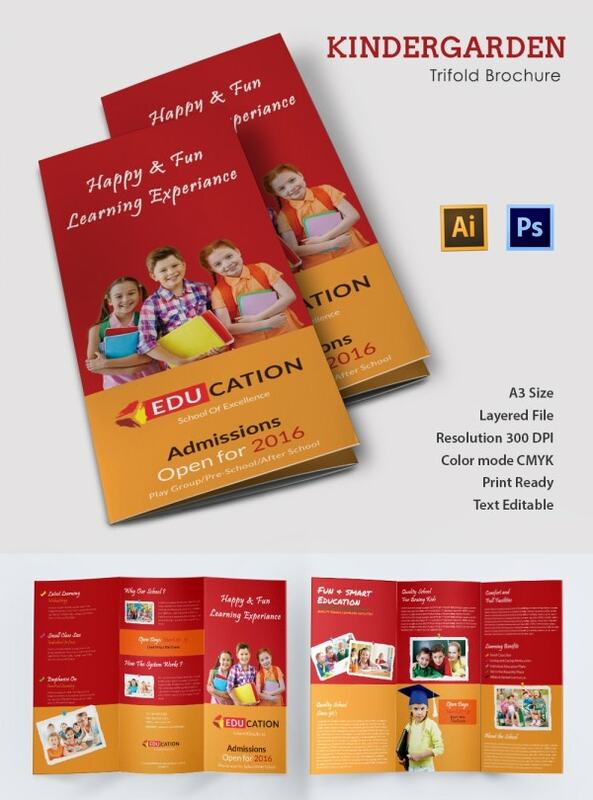 For this purpose we have an extensive range of School Brochure Templates. 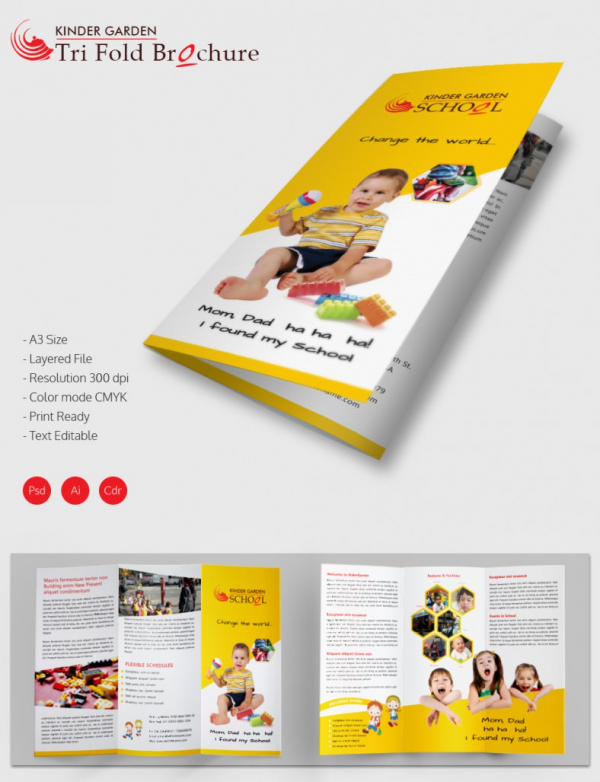 This kindergarten or preschool brochure template in tri-fold format looks very appealing. Download it, and customize it with the details of your institute. 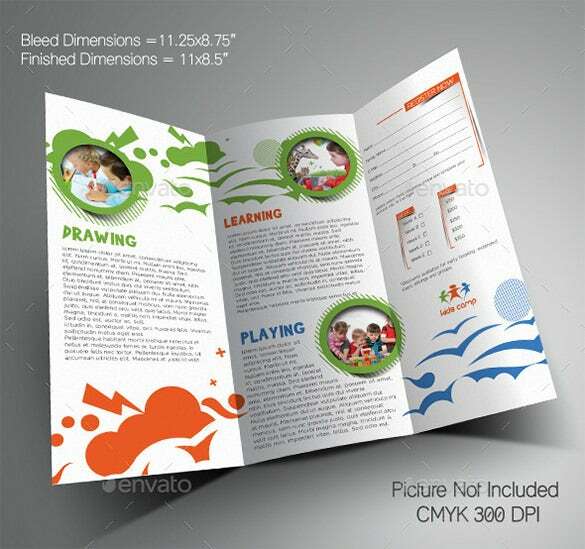 Include images, change colors, add your tagline if you have and then in good quality paper, just print it. 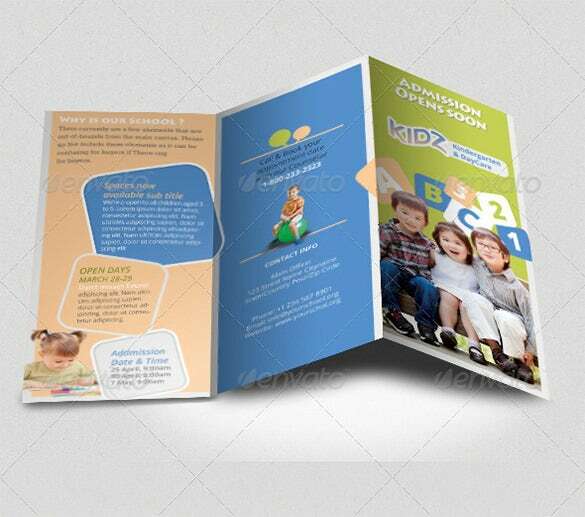 Available in AI and PSD format, this Kindergarten or preschool brochure sample can become our perfect marketing tool for your newly opened Kindergarten. 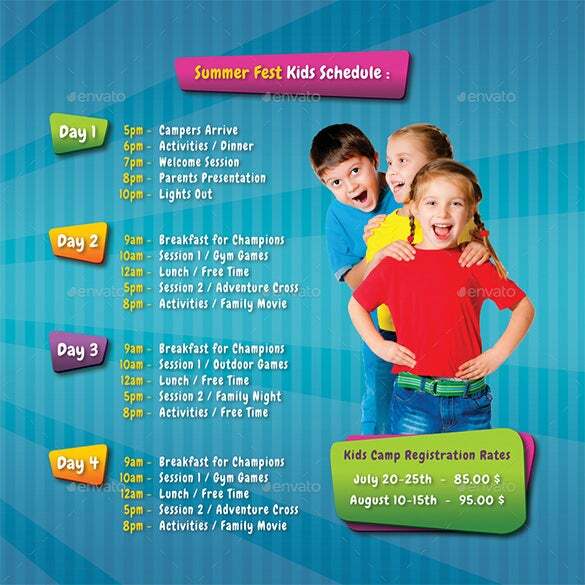 Download the template and edit the content, change the color theme, add images and then print it for use. 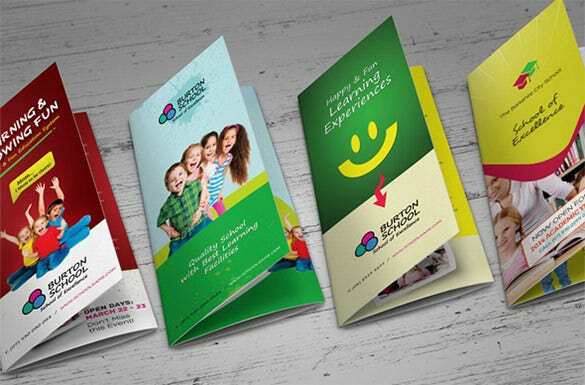 If you want to leave a creative touch to the brochure of your owned Kindergarten, then downloading this creative kindergarten play school pamphlet design template will prove to be a great idea. 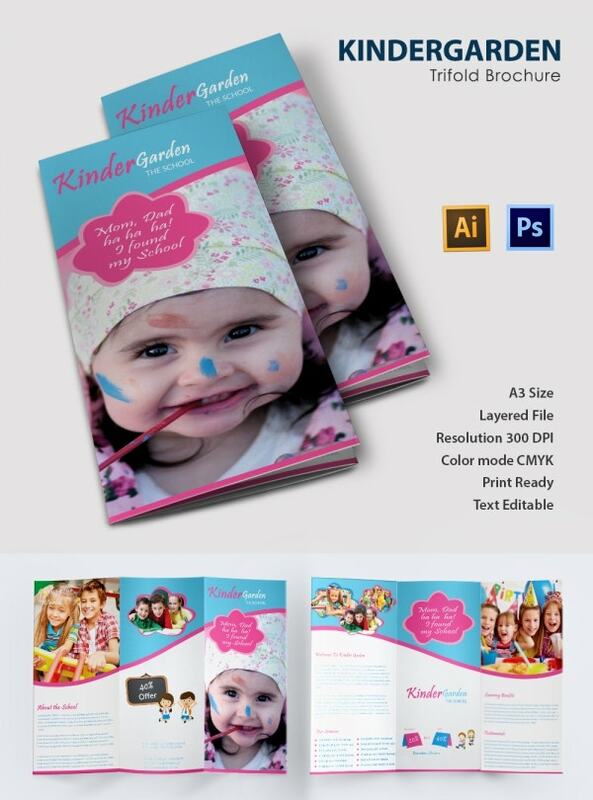 Fully editable, just edit the text part, add your images, change colors and print. 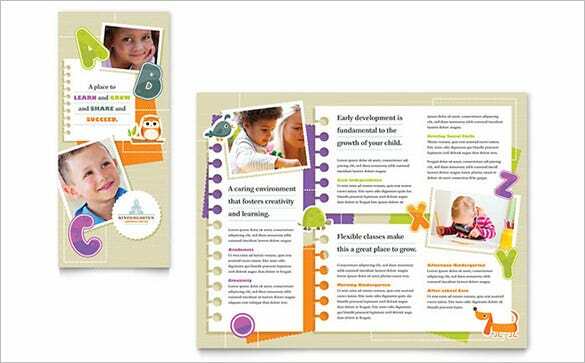 Another great option for pre school owners for creating their brochure lies here. 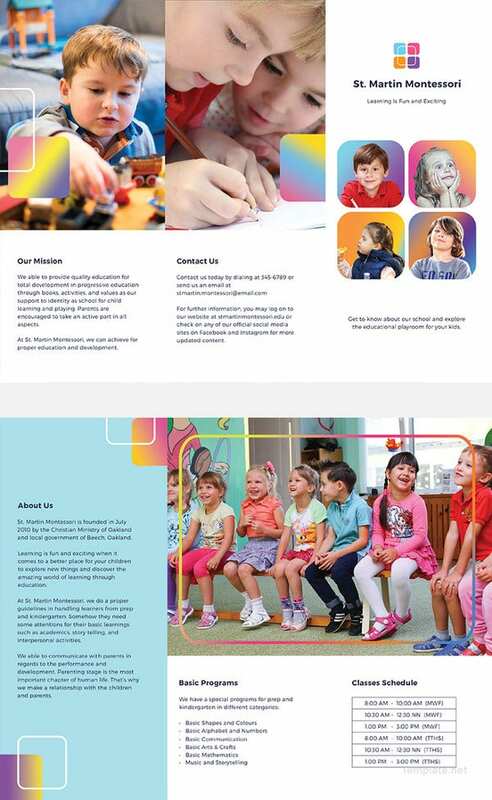 Just download this creative Kindergarten preschool brochure idea template in tri-fold format and replace the text part with your school details. 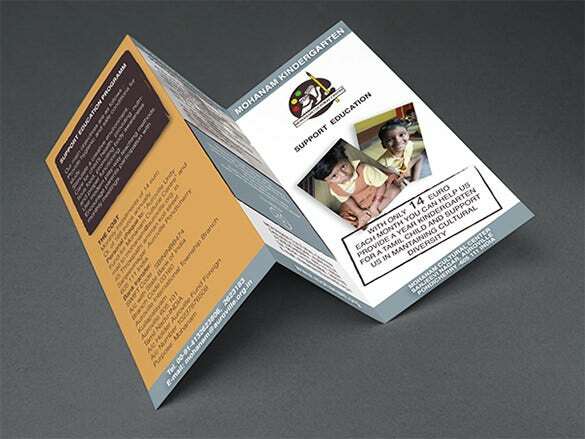 Highlight the speciality and get it printed. 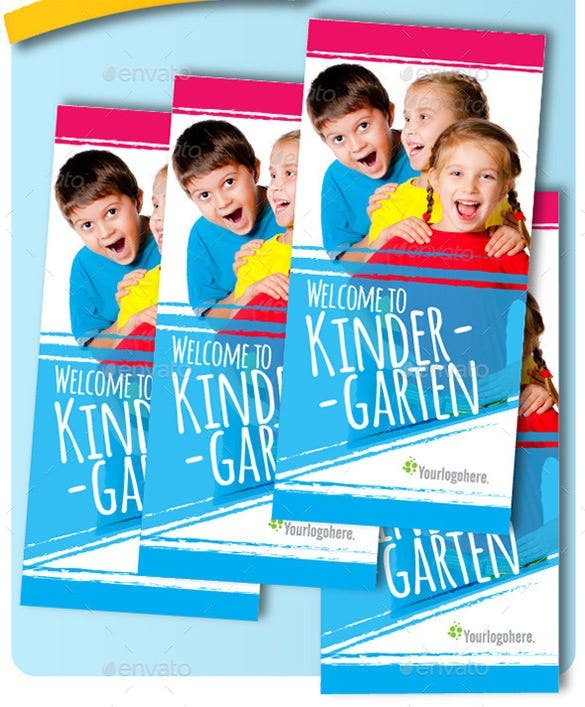 This kindergarten brochure here comes in a soothing blue shade and the goggle view for the image is an interesting touch to it. It allows you huge space to enter your text details elaborately. 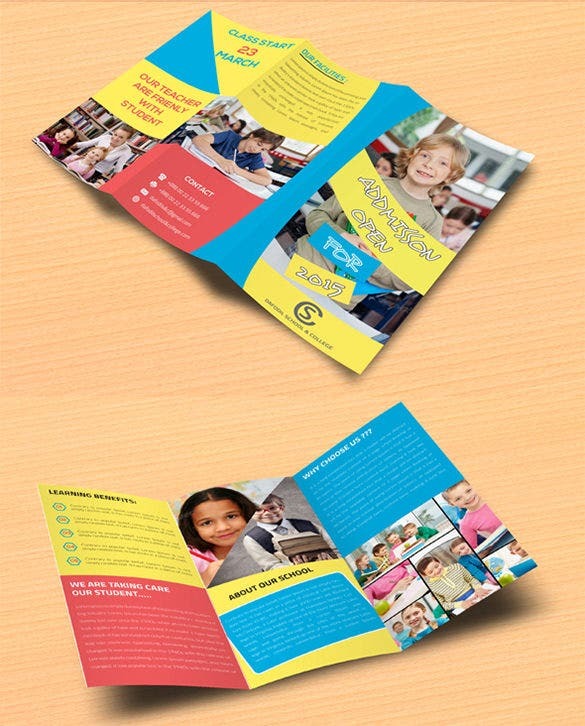 These junior school trifold and bifold brochures have arrived in a colorful combination of bright shades. You can add pictures or illustration on the cover page along with your school details. 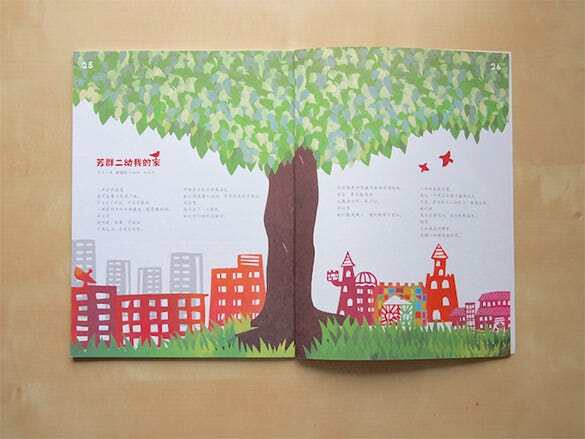 The overall brochure exudes a very peppy feel that complements the cheerful mood of a kindergarten class. 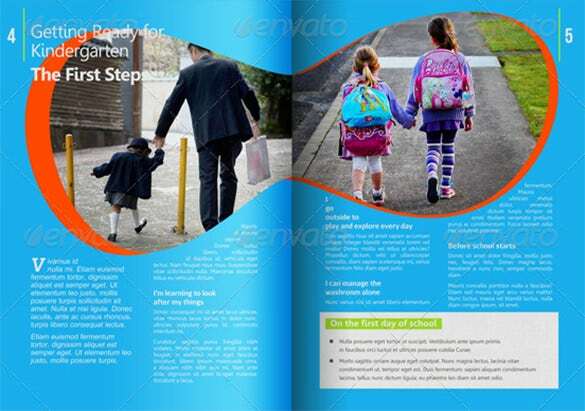 Your logo can be added on the right bottom of the cover page. The monotony of white has been duly broken with colorful stripes here and there. 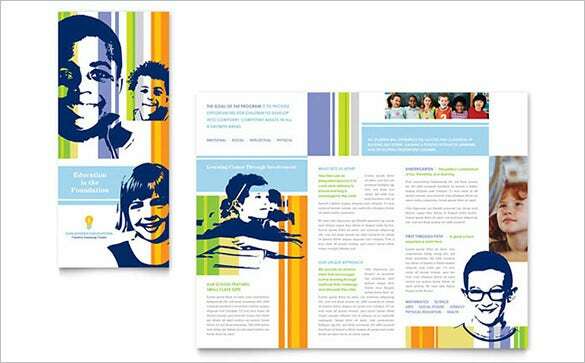 The sketch-like illustrations have rendered an edgy feel to the overall learning center and elementary school brochure. 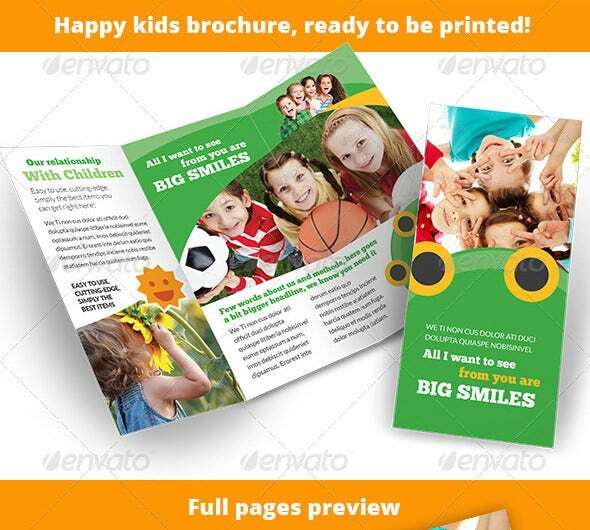 This kindergarten 3-fold brochure comes with a happy feel thanks to its bright cheerful kid images and also the cute sun smiley inside. The inside pages will allow you to add multiple pictures with text. 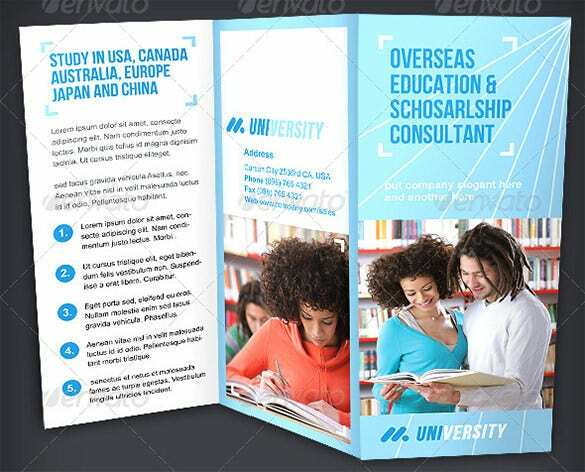 If you have to upload elaborate information on the brochure, this template here would be great as it offers 75% of the space for text details. The eye-frame for the pictures is no doubt smart. 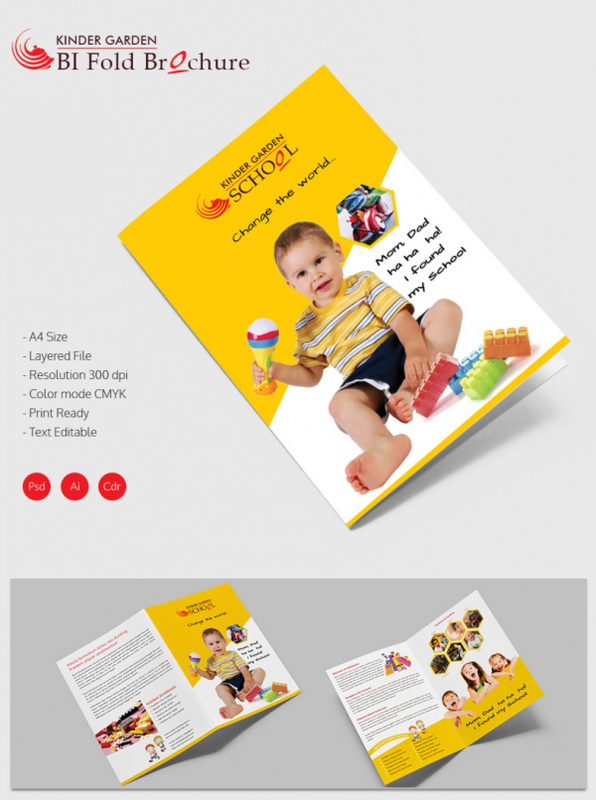 For promoting the newly opened preschool kindergarten by you, use this school promotion brochure template in tri-fold format to design an effective brochure. 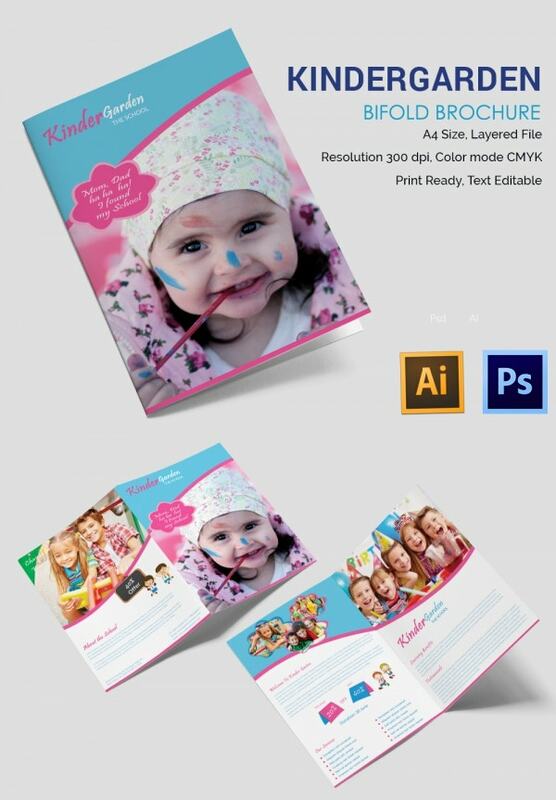 fully editable, print ready template, files are of PSD fully layered format. Print it on paper and use. 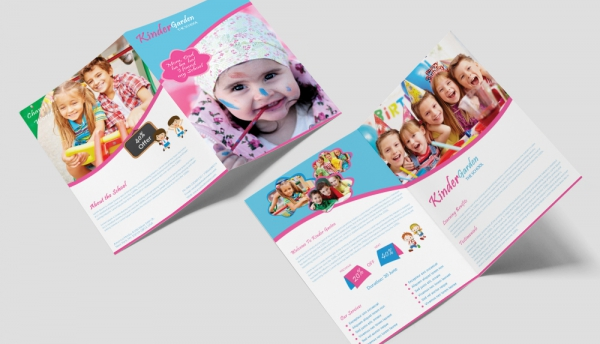 Opt for this kindergarten brochure template free download for creating and designing brochure for your Kindergarten business. 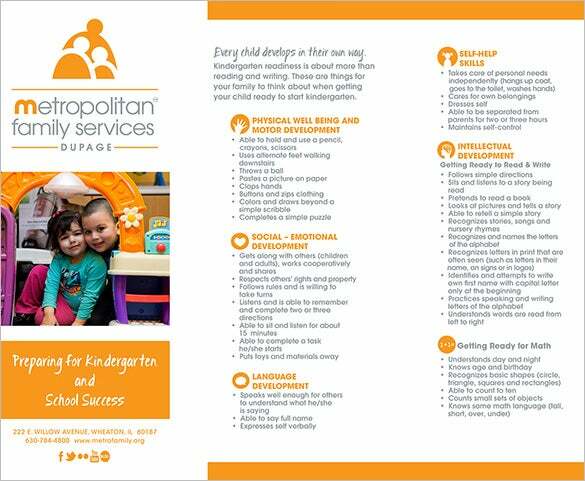 Attract parents of toddlers who have become eligible for preschool by editing the template with your details and print it in good quality paper. 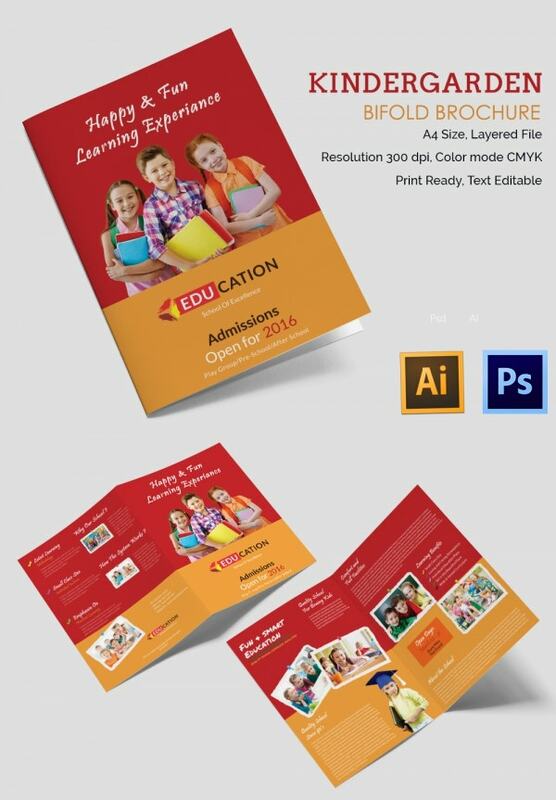 Educational institutes can surely download this sleek education tri-fold brochure template for your brochure designing needs. 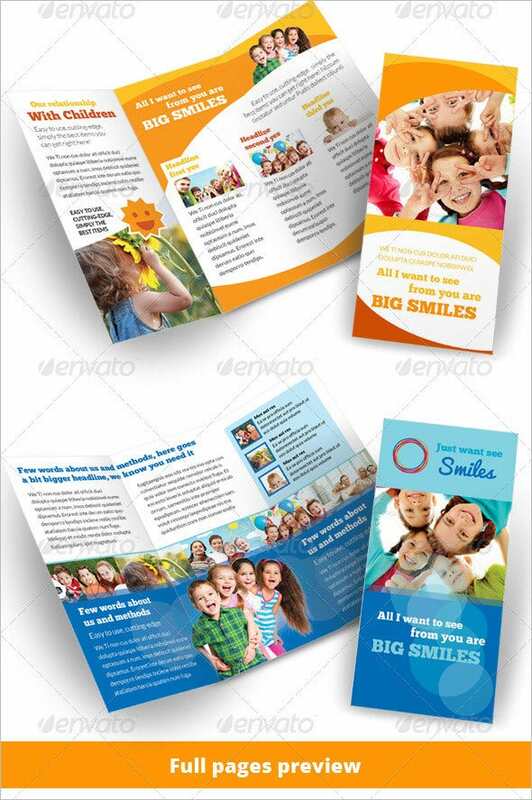 It is supported by adobe photoshop files, fully layered, just edit with your details and content and then get it printed in A4 size brochure. 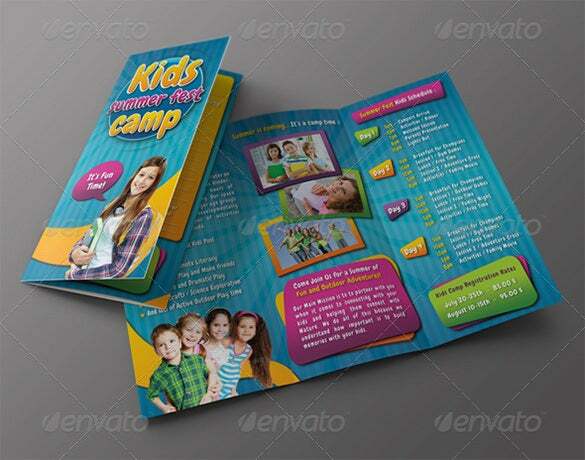 As summer camps for school going kids are a rage, you can surely download this kids summer camp brochure template in 3-fold type for explaining the parents about the activities which will be performed and all other necessary details. Customize and use. 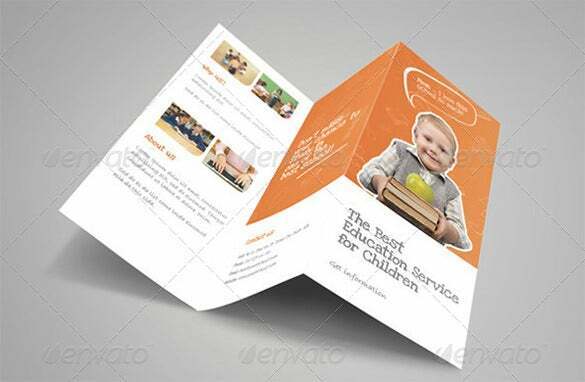 These templates provide details of the services and programs offered by the school. It also gives information about the school timings, address, extracurricular activities and other relevant data. 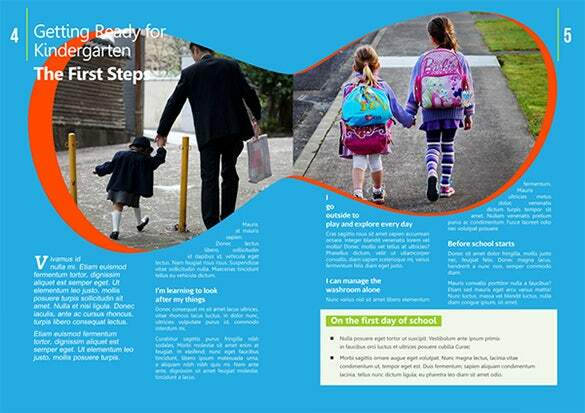 These free of cost templates are easy to download and are vibrant, have photos of young and happy children and also photos of the school premises and its playground.